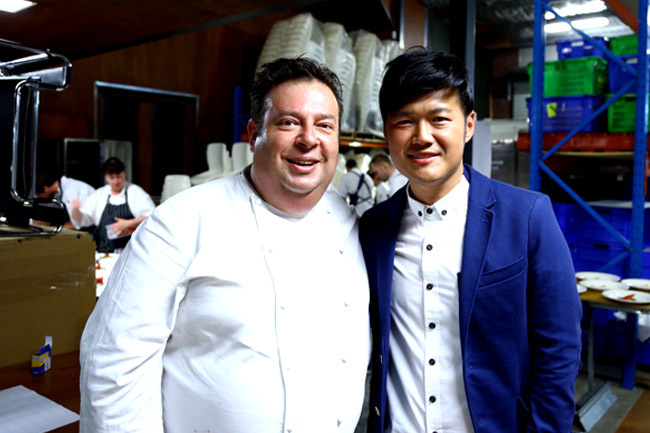 [Sydney, Australia] There we were, at ‘undisputedly’ Australia’s Top Restaurant Quay – ranked 48th in the world, on the coveted S.Pellegrino World’s 50 Best Restaurants list, awarded Restaurant of the Year in The Austalian Gourmet Traveller in 2013, held the coveted 3 Hat & 3 Star rating in The Sydney Morning Herald Good Food Guide & Australian Gourmet Traveller Restaurant Guide for 11 consecutive years. 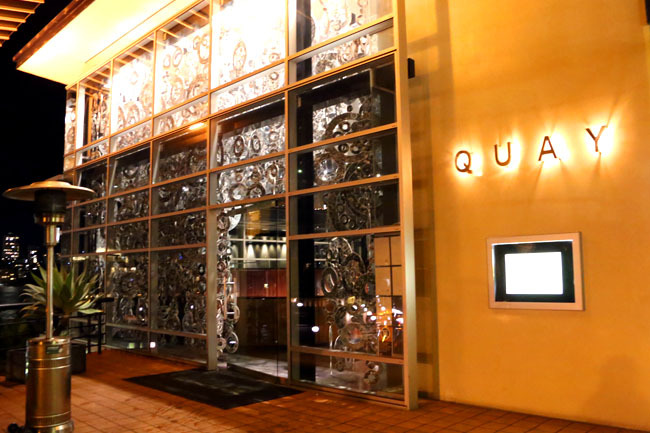 Quay is run by Peter Gilmore, one of Australia’s most celebrated chef, awarded Chef of the Year in The Sydney Morning Herald Good Food Guide 2012 and is a familiar face for those who watched Masterchef Australia. 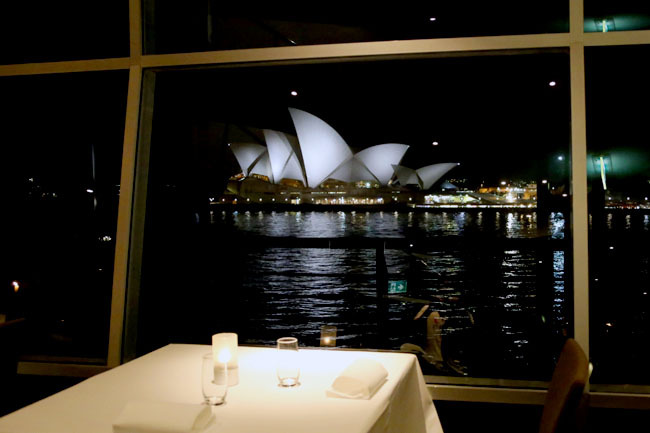 Setting was gorgeous at its extreme, with white clothed tables and fine cutlery spelling elegance, facing Australia’s and one of the world’s most iconic modern architectural wonder – The Sydney Opera House. We possibly got one of the best table in the entire restaurant, and as the dark night sets, it almost felt impossibly romantic and peaceful. If only service was better. Not that there was any staff who was particularly rude or careless, but there was the sense of nonchalance and indifference. Perhaps it was because we did not order wines (asked three times if we wanted to drink anything, and we genuinely didn’t want to drink), perhaps we weren’t dressed to the nines, perhaps. 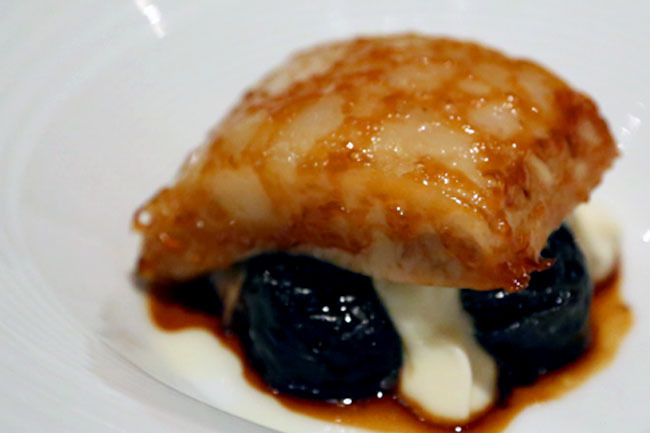 Pardon our ignorance, but we wanted to know what ‘forbidden rice’, ‘yabbies velvet’, ‘hapuka’, and ‘andalucia’ were or how they were cooked. We asked, one or two of them mumbled something (definitely looked impatient) and walked away. At AUD$225 per person for a tasting menu, or $175 for a 4-course set dinner, that meant the 6 of us would spend a bomb that is a 4-figure sum. We expected better. 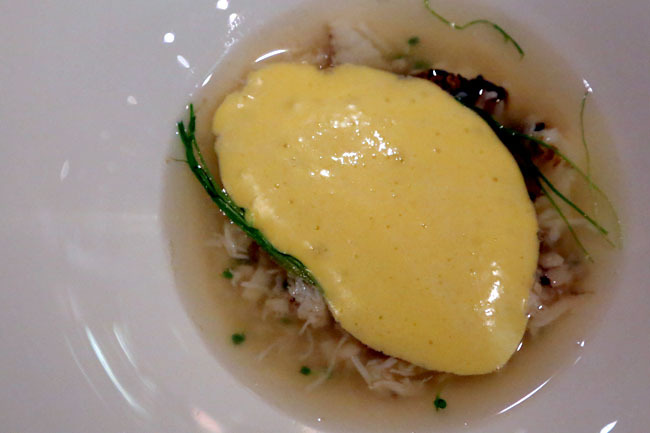 Back to the food, there were some truly outstanding dishes, such as the Congee of Northern Australian Mud Crab, Fresh Palm Heart, with an Egg Yolk Emulsion. 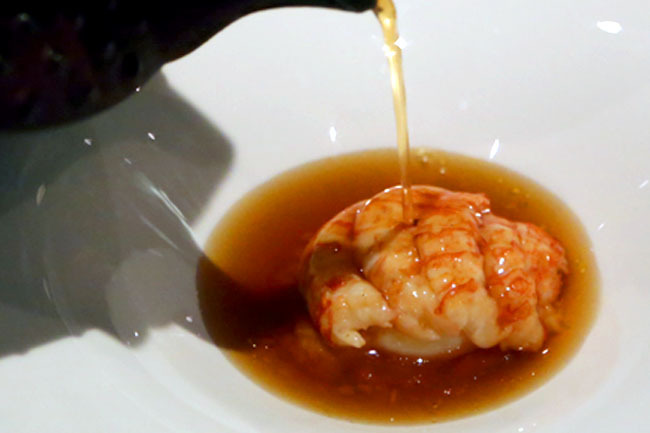 This is the only dish that lasted in all Quay’s 11 years of history, and it is not difficult to understand why with a very 3-dimensional layered taste from a smoothly light egg emulsion at the top to the fresh crab meat submerged at the bottom. The desserts really saved the meals, with the Guava Snow Egg and Quay’s Eight Texture Chocolate Cake being the show stoppers. For those familiar with Masterchef, the making of Guava Snow Egg was in one of the final challenges, with its intricate execution being quite marvelling in how it was even created. 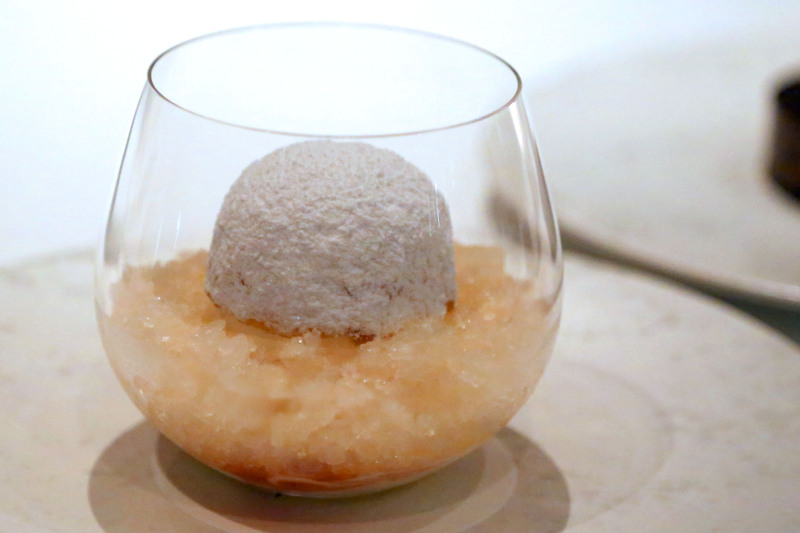 The Snow Egg is a poached meringue resting on a bed of guava granite in a clear glass oval cup. As you break open the praline maltose ‘egg shell’ which is malt biscuit blown torch, you find a ‘yolk’ of custard apple ice-cream. The sensation of layers tasted crazy! The Eight Texture Chocolate Cake was served spectacularly, when hot chocolate ganache was poured right through the circle of the round cake creating a hollow of sorts. 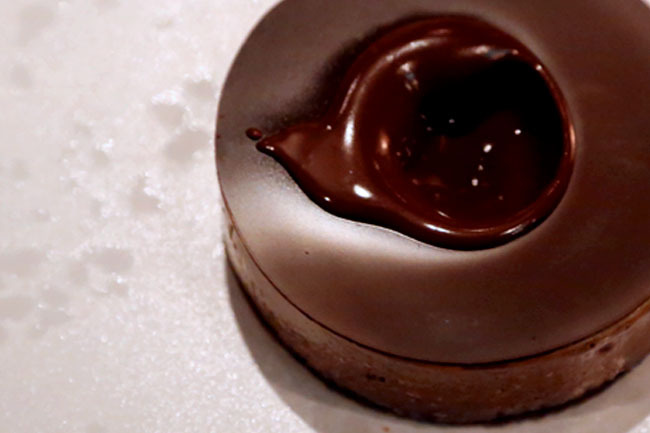 Every bite was a pleasure, as you felt a combination of the other 7 chocolate elements playing in your mouth. Some would call it death-by-chocolate. Eating a dessert never felt this dramatic. Beautiful setting. 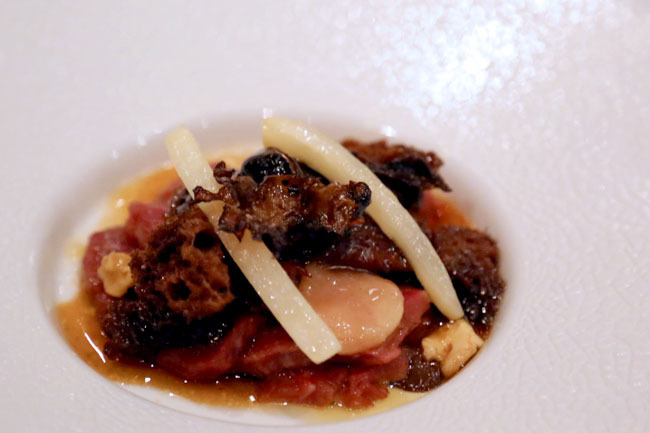 Some exciting dishes. Dramatic desserts. If only service was better. ← Pizza Hut – Not Just Pizzas, But 12 Different Pasta Perfetto Dishes!